If movie years are like vintages, 2013 has turned out to be one to keep, uncork, and savor for decades to come. It was a good year for the moneymen, of course — total US ticket receipts stand poised to top $11 billion for the first time — but it was simply a better year for movies, and for many different kinds of them. The big winners at the box office were the usual mix of sequels and remakes, and some of them were pretty good (“Iron Man 3,” “World War Z”) or even very good (“The Hunger Games: Catching Fire,” “Star Trek Into Darkness”). But they weren’t the movies people were talking about, occasionally arguing about. Finally, I loved and was profoundly heartened by the breadth of topics, ideas, portrayals, and envelopes being pushed in the movies of 2013. Documentaries like “The Act of Killing” and “Stories We Tell” pulled the rug out from under the nonfiction experience in ways I hadn’t thought possible. 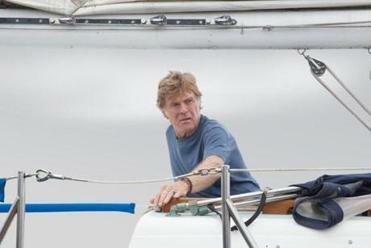 Robert Redford was resurrected as an actor (as opposed to a pop-culture monument) in a work of unexpected cinematic austerity. And my top choice mulled over the disappearing space between humans and our marvelous machines in a way that addressed concerns both immediate and metaphysical. These are movies about how we talk to each other, about what happens when we don’t, about the dangers of isolation and the mixed blessings of community. They’re beautifully made, engrossing, and relevant. If it takes a dozen “Iron Man” sequels to sustain an industry and make these movies possible, bring them on. Of the two most necessary movies released this year, one (see No. 2) forcefully reminds us of where we’ve been. “Her” just wonders where we’re going — but, oh, that “just” has so many sorrows, fears, and hopes packed into it. 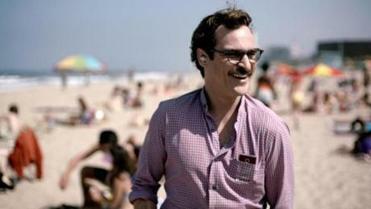 Spike Jonze’s movie is about a man (Joaquin Phoenix, astonishingly subtle) who falls in love with his computer’s operating system and about the operating system — named Samantha, voiced by Scarlett Johansson — who falls in love with him. Because it takes place a step or two in the future, the movie believably extends our current dance with technology deeper and deeper into the pool. Then it asks us to ask ourselves when we start drowning. Moving, creepy, funny, and (yes) romantic, “Her” backs into the philosophical big stuff — what does make us human, anyway? — with the lightest of touches. Take a teenager or two; it’s the world they’ll be living in anyway. By contrast, Steve McQueen’s incendiary history lesson was the least subtle great film of the year, but didn’t it have to be? 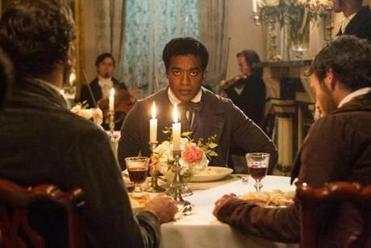 In a culture still unwilling to fully confront the enormous cruelty of a system this country inherited and perpetuated — seriously, read the online comments under any review to see how intensely some people want to avoid the issue — the story of Solomon Northup (Chiwetel Ejiofor) rang out like a loud, dissonant alarm bell. Every generation gets the reminder it needs that “slavery was bad,” but “12 Years” was a period piece with the gall and the nerve to push our faces in the horrible details. Why? Because we could get up and go home from the theater, and people like Solomon Northup and Patsey (a heartbreaking Lupita Nyong’o) couldn’t. If you think Michael Fassbender was over the top as a plantation owner, by all means read Northup’s original memoirs (available online). He wasn’t. I hear the boating crowd has plenty of nits to pick with this story of survival at sea. For landlubbers — and, more important, for moviegoers subjected to overloud, overstuffed overkill at every turn — the elegant minimalism of J.C. Chandor’s film makes it something to be treasured. 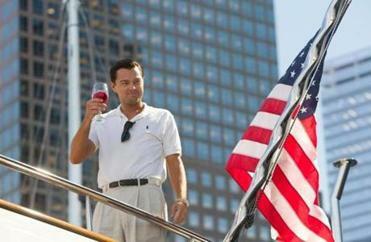 One man (Robert Redford as our nameless hero), one yacht (a 39-foot Cal), one crisis. “All is Lost” is becomingly direct — it finds drama in process and meaning in doing — but the farther back you stand from the movie, the more it reveals hints of allegory as evanescent as Alex Ebert’s score. Redford, shorn of his usual concerns, reminds us of how well and weightily he can hold the screen, and the way you read the ending will probably say more about you than the film. Shy of Michael Apted’s “Up” documentaries, this is the greatest time-lapse study in the history of film. Eighteen years and three movies into the life and love of Jesse (Ethan Hawke) and Céline (Julie Delpy), the series smacks up against the realities of coupledom — comforts and resentments, bitterness and bliss — and leads the characters (and us) right to the edge of the cliff. Again. Can you ever really know someone? Are relationships ever safe? The latest in the ongoing collaboration between its stars and director Richard Linklater, “Before Midnight” is as disquieting as it is funny, as truthful as it is absurd. It plays like “Scenes From a Marriage” remade as a farce, at least until night falls and the tears come. And, yes, you do need to have seen “Before Sunrise” and “Before Sunset.” So hop to it. The strangest and most unforgettable documentary of the year is, in places, not a documentary at all. 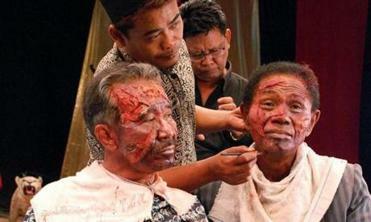 Filmmaker Joshua Oppenheimer got close enough to the aging killers of Indonesia’s 1960s genocide — they’re walking around free and something like cultural heroes, despite having the blood of a half-million people on their hands — for them to think he was their friend. Since they’re all movie lovers, he asked them to re-create some of their crimes in any film genre they wanted. This doesn’t just lead to the mindbendingly surreal sight of a transvestite Polynesian murder musical. In the case of one of the men, Anwar Congo, it prompts recognition, if not remorse. By the final scenes, Congo can’t stop retching — it’s as if he’s literally choking on his actions. The strangest and most unforgettable documentary of the year is, in places, not a documentary at all. Wait, didn’t you just read that? You did. Sarah Polley’s family history is the other nonfiction marvel in a year that saw the genre dismantled and reassembled in groundbreaking fashion. The actress-turned-director (“Away From Her”) quizzes relatives and family friends in an effort to get to the bottom of two mysteries: her late mother Diane and the question of Polley’s own parentage. What saves the movie from being just another doc about My Screwed-Up Childhood is that it gradually turns into a meditation on memory, family histories, and, yes, stories we tell. Whether it comes early or late for you, the lightbulb moment may make your hair stand on end — and then realize what a remarkable work of filmmaking craft this is. Alexander Payne has been here before (what’s this film on one level but a geriatric “About Schmidt”? ), but there are still so many things to love: The careworn black-and-white images of a huge landscape and the small, occasionally gracious people who live there. Bruce Dern’s portrayal of a sullen old wreck who still deserves our respect. Will Forte quietly coming into his own as a dramatic actor and June Squibb flashing her knickers at an old boyfriend’s grave. Angela McEwan as Peg Nagy. America’s pioneer past peeking through, as tumbledown as an abandoned homestead. And, finally, the drive around town, as wordless and potent a moment between father and son as you’ll ever see in a film. 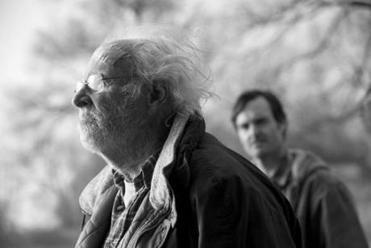 Like all the year’s best movies, “Nebraska” widens and deepens in the memory, until it seems to take in all 50 states and everyone in them. Honestly, I don’t care what you think. I do care that it was seen by the audience for whom Harmony Korine fashioned his pop-culture cherry bomb: an under-25 crowd so used to being sucked up to by media companies that they reacted to a movie questioning their right to party (and, worse, accusing them of self-absorbed banality) with shock, furious discussion, and a lot of irate tweets. Is the movie a daydream, a nightmare, a provocation, a put-on? Does intent even matter when the results are this unsettling, the reaction this fascinating? The minority of audiences who got on the film’s wavelength may never look at their culture or their peers the same way. “Spring Breakers” gets under the skin of its lookalike heroines and finds them empty and touching and dangerous and powerful — the grinning ski-masked face of the future. 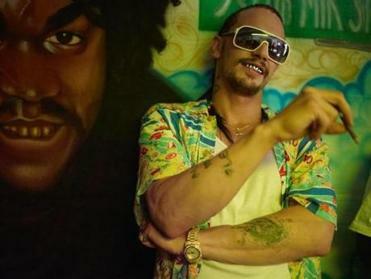 James Franco’s silly little gangbanger doesn’t stand a chance. Neither do we. A rapture from Italy and from director Paolo Sorrentino, and a movie with the power to restore one’s faith in pure cinema. It’s an homage to and revamp of Fellini’s “La Dolce Vita” — another tale of a soulful, jaded sellout in a glitzy, glamorous Rome. Things are as decadent in 2013 as they were in 1960, but Jep, the aging novelist-dandy played by Toni Servillo, takes them in with a cool awareness that never lets him off the hook. Servillo has one of the great movie faces — think Jimmy Durante crossed with the Buddha — and the filmmaking is outrageously sensuous. (Or is that sensual? Both, actually.) The soundtrack alternates club music with gorgeous, chilly modern classical, and the film likewise spins between the heat of the night before and the sadness of the morning after. Hardly anyone saw the movie in this country. You should change that. Another critically beloved but little-seen gem: a drama about life in a county facility for troubled adolescents that can quietly overwhelm you with its humanity. Young writer-director Destin Cretton based it on his own experiences and on the 2008 short film he made from them; all things considered, the feature version has remarkably few Hollywood touches. It’s also a welcome showcase for actress Brie Larson — you know her face but probably not her name — who plays the facility’s manager with the open heart and guarded expression of a woman who’s seen too much. This is a basic, engrossing drama about people, simply written, thoughtfully played, honestly filmed. 11. “20 Feet From Stardom” — Despite their travails, the back story of the great back-up singers is the year’s feel-good film. 12. “The Wolf of Wall Street” — Scorsese’s back in form (and so is Leonardo DiCaprio) in a big, crass epic about the joys and pitfalls of greed. 13. “Inside Llewyn Davis” — Once again, the Coen brothers brilliantly explore a milieu — the ’60s folk scene — by following a jerk through it. 14. “Fruitvale Station” — The story of Oscar Grant (Michael B. Jordan), just another black kid killed by the cops. Heartfelt and devastating. 15. “Much Ado About Nothing” — Joss Whedon puts on a Shakespeare play in his backyard, and we all win. God bless Amy Acker. Best two soundtrack albums you can’t buy in this country (someone please fix that): “Something in the Air” (a.k.a. “Apres Mai”) and “The Great Beauty” (a.k.a. “La Grande Bellezza”). “Diana” — In which the final years of Princess Diana (played by a hapless Naomi Watts) are turned into a goopy True Love comic book. “The Lone Ranger” — Each movie year has its iconic example of everything that’s bloated, smug, and wrong in mainstream Hollywood moviemaking. Here’s the 2013 edition. “Only God Forgives” — Good, because I can’t. Except for Kristen Scott Thomas’s mean, mean mother, this Far East (in)action movie is twaddle. “Romeo and Juliet” — Mush-mouthed teen Shakespeare with idiotic “additional dialogue” from “Downton Abbey” maestro Julian Fellowes. “Salinger” — A cringingly overwrought documentary that exemplifies everything its subject despised in American culture.